Thanks for posting this keyboard info. I had surgery on a broken radius about 10 days ago. I'm out of the cast but still lack wrist rotation and thumb use. Looks like the most useful keyboard I have seen so far - thanks again! Hey Linday, I'm sorry to hear about your wrist but I'm glad you found the info useful. Get well soon! I know how frustrating recovery can get as well. In my case, I even began doubting why went out of my way to buy roller skates in the first place. 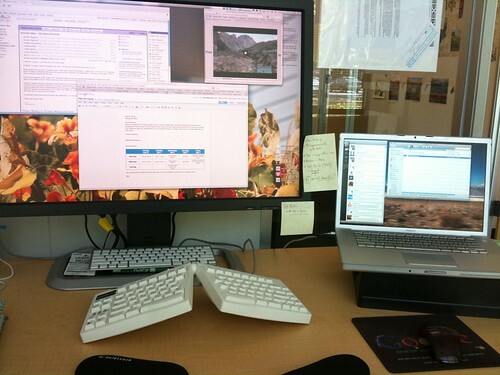 Ever tried the new Truly Ergonomic keyboard for relief from your RSI probolems?